General Electric Company (NYSE:GE) through its Capital Aviation Services unit announced today that it has penned a deal to acquire Milestone Aviation Group LLC, a helicopter lesser based in Dubai for a total of $1.78 billion. The deal is in line with the company’s plan of expanding its aircraft leasing operations to include helicopters. The company further said that the acquisition is within its strategic plan of growing and enhancing value with the company’s industrial activities in the areas of aviation, energy, oil & gas, and healthcare. 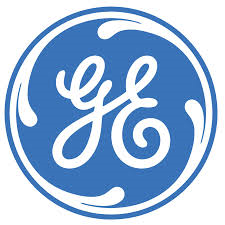 General Electric Company (NYSE:GE) has also indicated that it’s disposing its non-strategic assets that only serve expand its scope but not strengthen its core activities. The acquisition of Milestone Aviation Group LLC, the world’s largest helicopter leasing company by fleet size, gives GE Capital Aviation Services LLC immense market strength in aircraft leasing services. General Electric Company (NYSE:GE) through its Capital Aviation Services unit already has 1,600 aircrafts that it’s currently leasing out to customers. “In joining GE Capital, Milestone will continue to operate as we always have – committed to our customers and partners, nimble and entrepreneurial – only with an enhanced ability to offer innovative product solutions in a variety of markets around the globe,” said Richard T. Santulli, chairman and CEO of Milestone Aviation Group. Although GE Capital Aviation Services LLC and Milestone Aviation Group LLC have come to an agreement, the deal is still subject to customary regulations and approvals by authorities. The deal is expected to complete in 2015. This article has been written and edited by Victor Ochieng.